One legend and two legends-in-the-making join us for this show. Chef Jody Adams of Boston's Porto, TRADE, and Saloniki is a trailblazing chef and restaurateur–and a humanitarian, which happens to be our favorite kind of human. 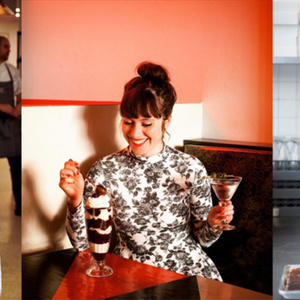 Then we’ll be talking to Keavy Landreth and Allison Kave, the founders of Brooklyn’s Butter & Scotch, which they call the Bar & Bakery of Your Dreams.